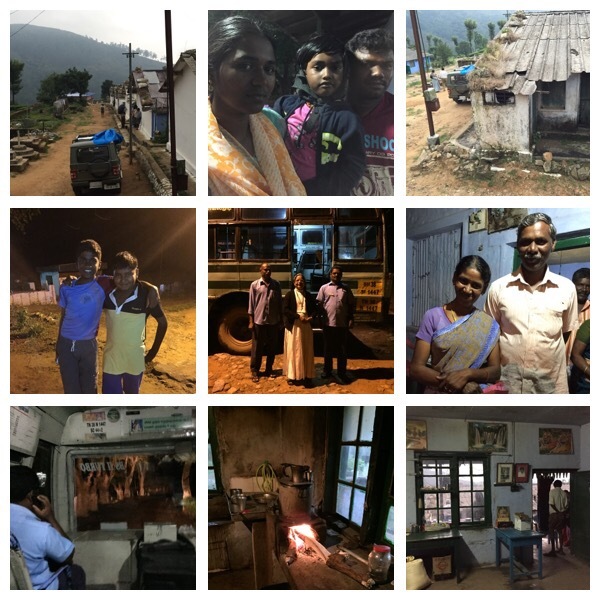 Lakshmi, a woman who wants to discover the world and beautiful Valparai – Go India, go future! Lakshmi is eighteen. She’ s still at school. Another year, then she wants to go to university – if possible at Coimbatore, a four hours trip from here. 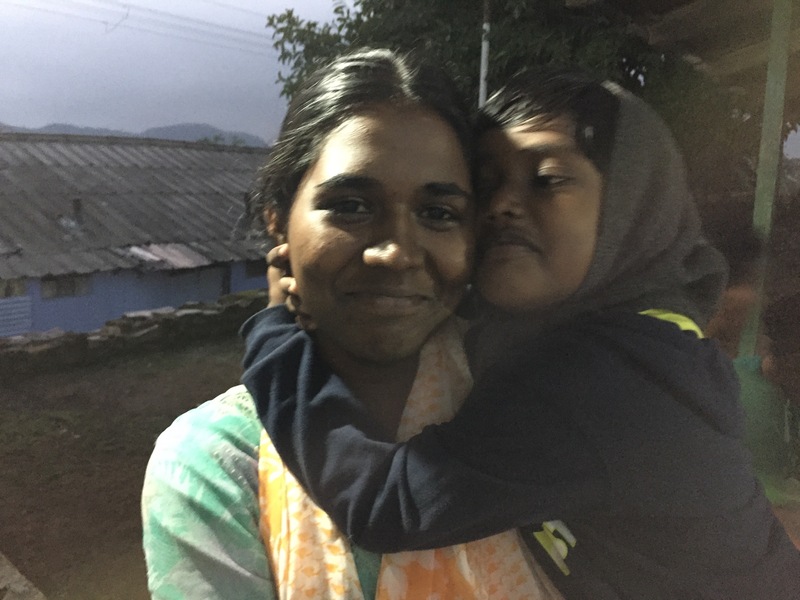 When I meet her the first time in Villoni, a very small and remote village in the surroundings of Valparai in the West Ghat mountains, a very hilly area 1500 feet high in South India, she waits together with his brother, his wife and niece to see the doctor. It’s since ten months now that the doctor and some nurses come to the village for medical checks once per month. For many villagers this is an enormous support. 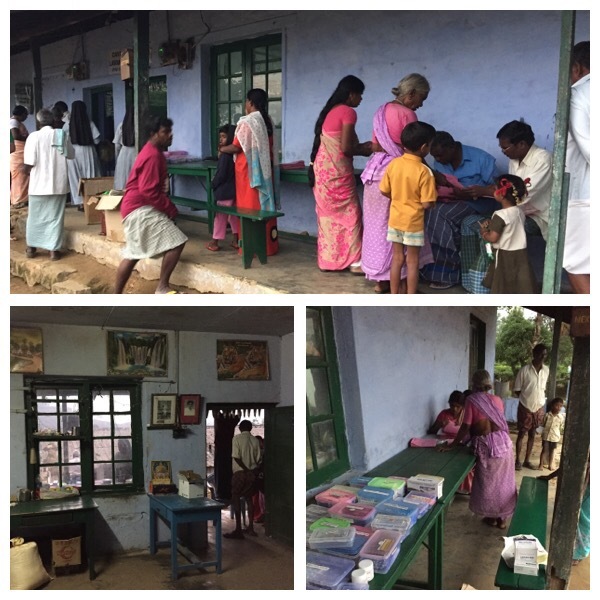 The trip to Valparai is taking an hour – a short distance, but really difficult fifteen km. There is one government bus in the morning that takes also the children to school and another one in the evening at 8.30 pm. People who miss it have to stay in town. Walking is a huge risk. When we arrive there are already many villagers waiting for us. People are always very friendly. They have prepared some flowers for welcoming us. In front of the community building the nurses have started with the registration and take some first medical checks:blood measuring and weighting. It’s getting dark. The mobile clinic can be done only in the evening hours when people are back in the village. Lakshmi is one of the village people waiting in front. She looks at me and start to talk. She is one of a very few people who knows English. She explains me about her family and village and asks many questions. Even her brother and its family are very interested to find out more on the life of the other site of the world. How we live. What we eat. What we earn. How we use our mobiles. What we do. How we sell. What she should study. And she wants to know about our lifestyle. About everything. I’m surprised how much she knows. We talk and talk and we become friends, tooli. She asks if we can stay connected. Via WhatsUp. We can. “The next time when you come to Valparai, please visit us. Come to my house.” Her brother and his wife add: “Yes, please come”. The nightbus arrives. The driver and the conductor ask if we want to take a bus trip back to Valparai – across the jungle. We will and they are very proud. It is one of the craziest bus trips I had in my life. It shakes and bumps and it is completely dark. On the way we see a bear. Unforgettable.